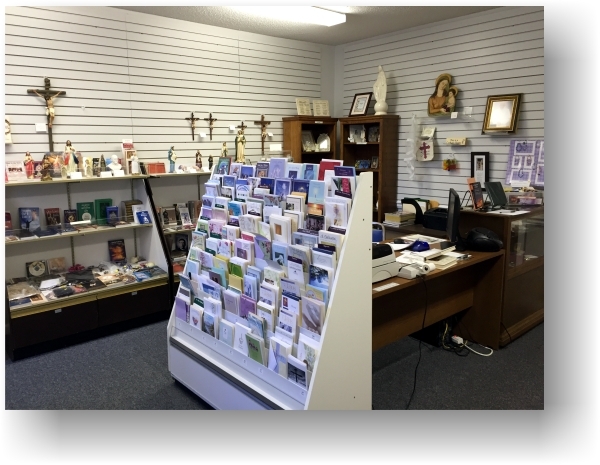 We invite you to shop in our St. Barnabas Bookstore, which features new and used books, cards, gift, medals, and much more. The bookstore is open typically twice/month after Masses. See the schedule at right for specific dates. The store is located on the C Hall in room C6.